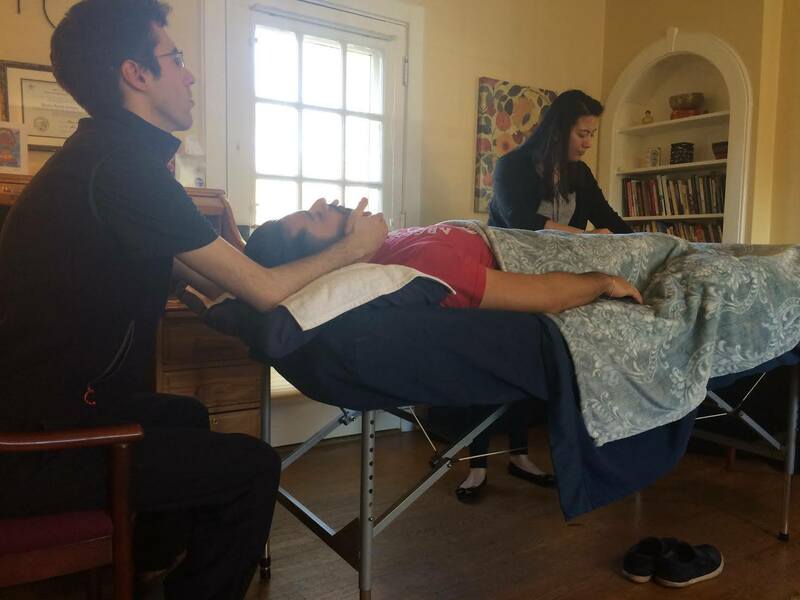 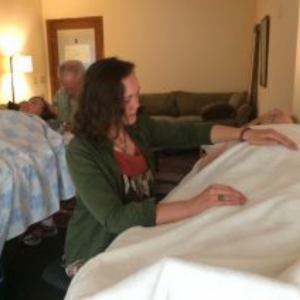 Calm your mind, tend your body, and nourish you spirit with Reiki self-treatment; a meditation practice that utilizes gentle hand placements on and above your body for relaxation, balance and wellness. 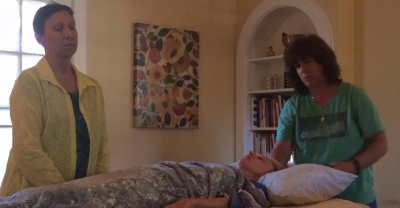 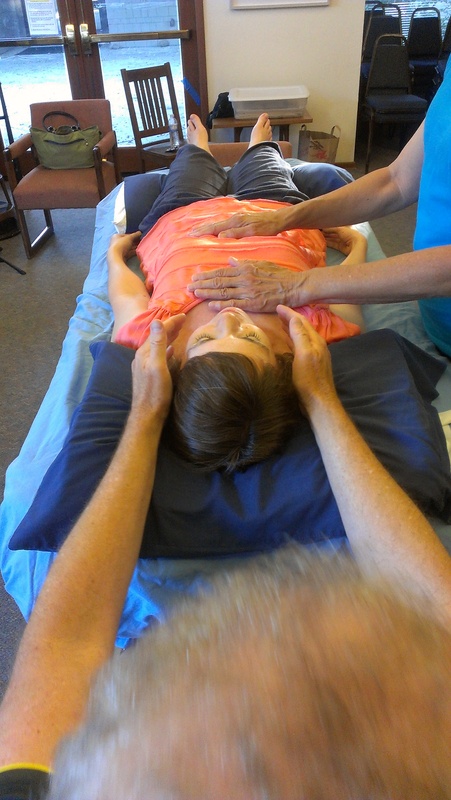 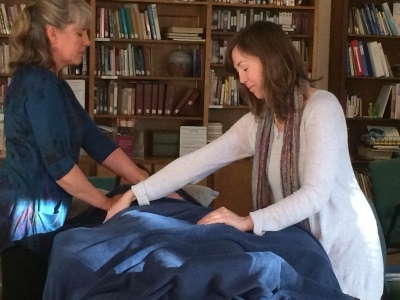 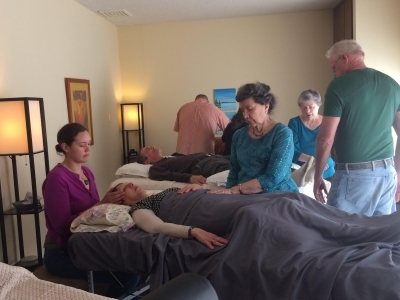 Demonstration, discussion, attunements and guided self-treatment sessions as well as the Foundation manual are included. 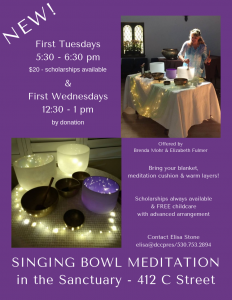 In addition, the last class includes a singing bowl meditation. 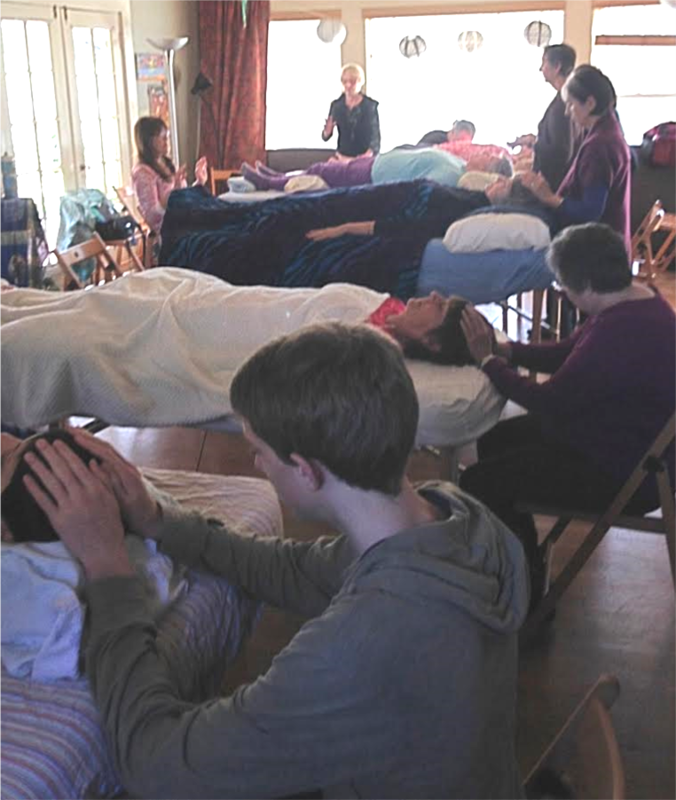 Upon completion you will receive a Foundation certificate and are eligible for Reiki First Degree Practitioner training. 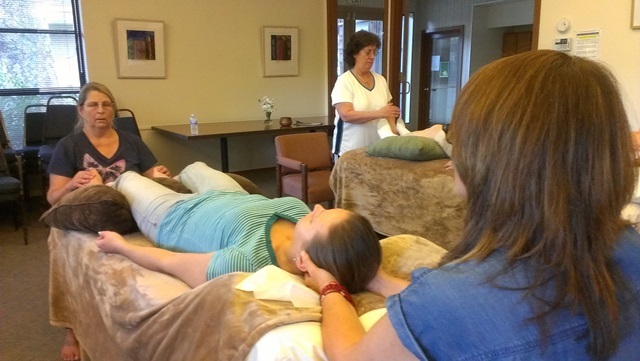 SPECIAL OFFER FOR MY STUDENTS: Two for One Discount! 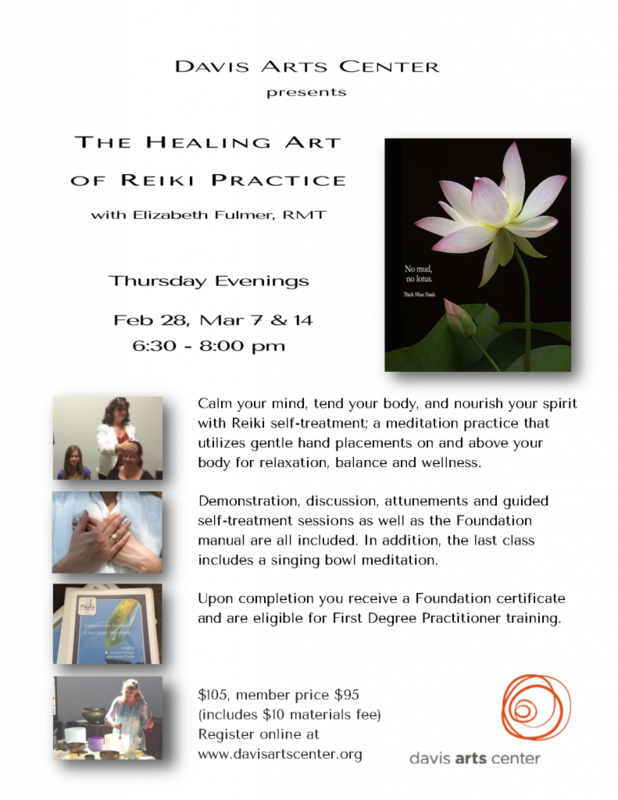 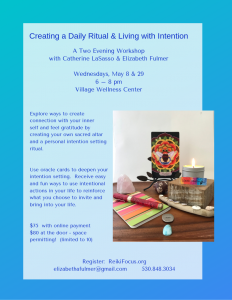 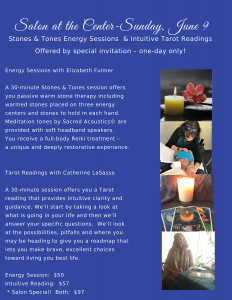 For my students (who have received Foundation Reiki training), you may sign up with a friend and receive a two-for-one discount! 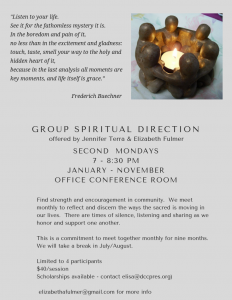 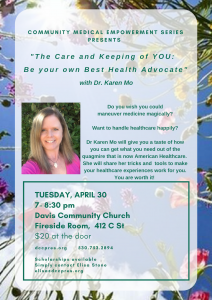 Call the Arts Center at 530.756.4100 or register in person at 1919 F Street.